I was thinking of doing a bucket list of places I would like to visit, and Colorado would definitely make the cut, I have visited many of the 50 US states, and many countries around the world, but somehow I have never made it to Colorado. Anyhow, when this couple came to town, I was going to say rode into town, but anyway, sailed into town...I wanted to show them a big slice of Cayman hospitality. We took them down to Blue Water, although we seldom go there for a couple and prefer to use it for big groups. 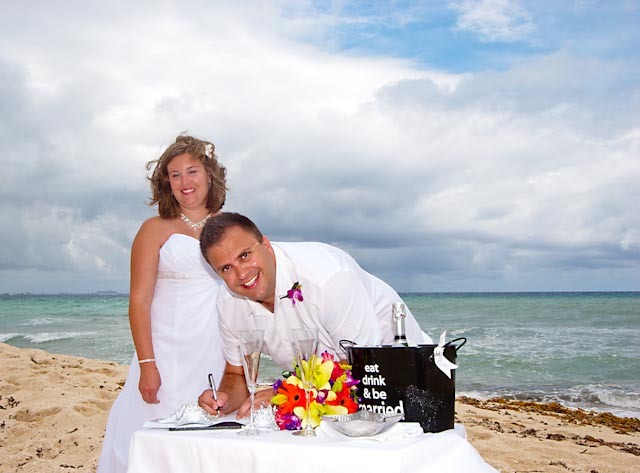 Couples have all kinds of requests for their wedding location, and we try to accomodate them. Some ask for a long expanse of beach, others for rocks, or a pier. Yet others just want privacy, and an intimate location. This Seven Mile Beach location captures a bit of everything, if you don't mind the 10 mile drive out to reach it. 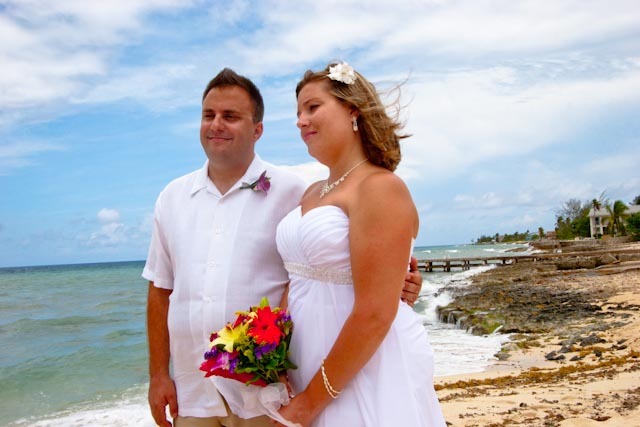 Of course if you're doing the All-inclusive Cayman Cruise Wedding package, as most of my cruise guests do, then you don't have to worry about about transportation. 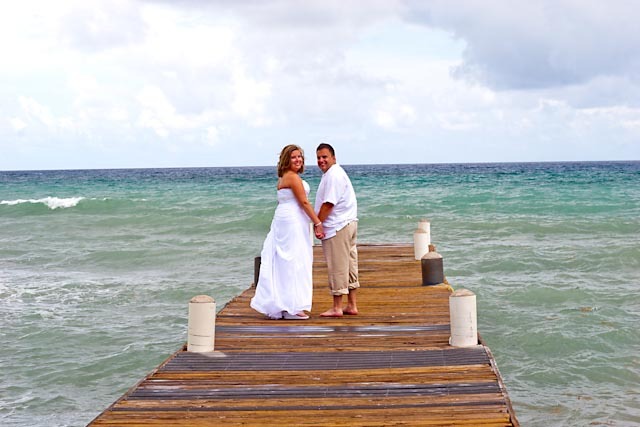 Many of my couples really love these pier shots. Because of the rain, this beach was virtually deserted. I strongly believe that a wedding should be lots of fun, and I encourage my couples to do some candid shots which are fun, and which they will remember. 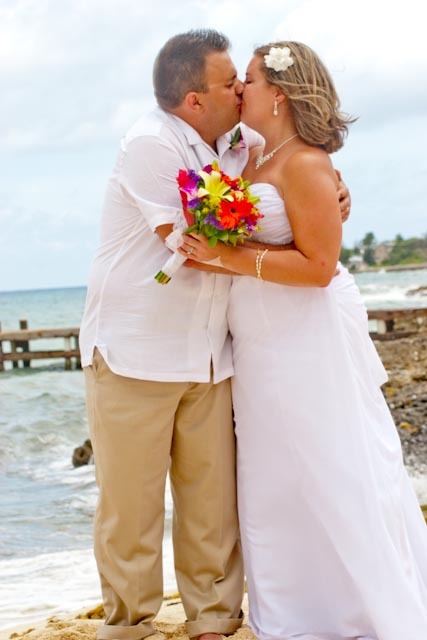 I also like lots of kissing, in my ceremonies there are many occassions to kiss your new spouse!